My copy of Cara Black’s new mystery, Murder on the Champ de Mars, arrived Tuesday, and I’m thrilled. I love to tag along as Aimée Leduc navigates Paris by Vespa, investigating crimes and injustice, and I’m as much in awe of her fashion sense as her street sense. Fourteen books into this series, I feel like I know Aimée, and I’m eager to start reading this fifteenth book. 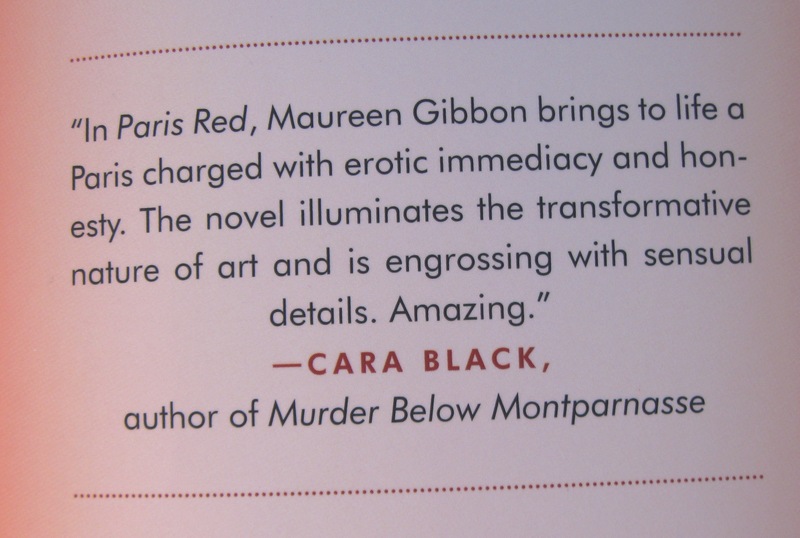 Maybe it was that connection to Aimée that made me brave enough to approach Cara Black this summer when it was time to get blurbs for Paris Red. I knew Cara Black only through her writing, but I took a chance and wrote to her, introducing myself and Victorine, and telling her I’d been a fan for years. I’ve written before about how a book needs many people behind it, championing it. Some are professionals in the publishing industry, some are friends, and some are strangers—gracious and giving strangers like Cara Black.